"THINKONMICS" is a way of thinking that gives YOU the opportunity to learn the truth about YOURSELF!!!! " Be Ye Transformed by the Renewing of YOUR MIND". I AM most thankful and grateful to Rev. Ike for his teachings Thinkonomics (TM). I have been a student of Rev. Ike from the age of 8-years old. "Through positive Self-Awareness, the Individual (YOU) can Change the conditions and circumstances in his or her OWN LIFE." Rev. Ike I fashion my Conscious Self-Healthcare Center after the teachings of Rev. Ike and I say to YOU "Become Your Own Wellness Doctor" Rev. Karen Khadijah Davis-Foulks... Welcome aboard my Friendship Train to Health Care Freedom!!!! Is it time to re-evaluate your health condition and how you are caring for your human body? How about a Reset? Take a new view and approach! "Shift Out of Chronic Disease Care Stress" and live well. "Be Your Own Wellness Doctor".... Emancipate Yourself from Medical Mental Slavery. ​Offering a corporate wellness program will help lower company health care cost. Employees that gain knowledge in Cellular Ecology will take more responsibility of their health care. Employees that have the information on 21-century scientific studies on quantum health and healing will step up out of the dark ages of disease care and most will shift out of chronic disease care stress. Employees that use less pharmaceuticals and have less surgeries and learn to live consciously will maintain a cellular environment that creates optimal wellness. ​We provide workshops and seminars for your employees. The same information is available for employees family members and community partnerships. Choose Love - Dr. King Tribute from Milton Suggs on Vimeo. ​​You can submit your wellness story here Submit Your Wellness (EYFMMS) Success Story for the book. 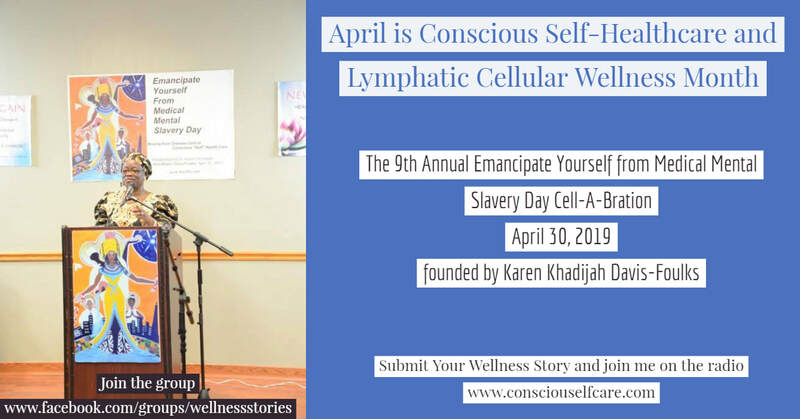 From the wellness stories submitted we choose individuals to honor at each year's Emancipate Yourself from Medical Mental Slavery Day (EYFMMSD) Cell-a-bration. Four awards are given the Hodari Abdul-Ali Conscious Self-Healthcare Award, Community Visionary, the Shirley R. Hardy Senior Wellology and the Kalvinar R. Foulks Child Care Self-Healthcare Awards. How can this month help you with your health care legacy? HEALTH IS A CHOICE…CHOOSE IT! #1 International Best Selling co-author on Amazon book list, Karen Khadijah Davis-Foulks, affectionately known as Dr K is a native Washingtonian and founder of The Ark of Self Healing and Self H.E.L.P. (Health Education for Longevity & Peace) established in 1997 a health wellness maintenance organization and ministry for disease prevention. 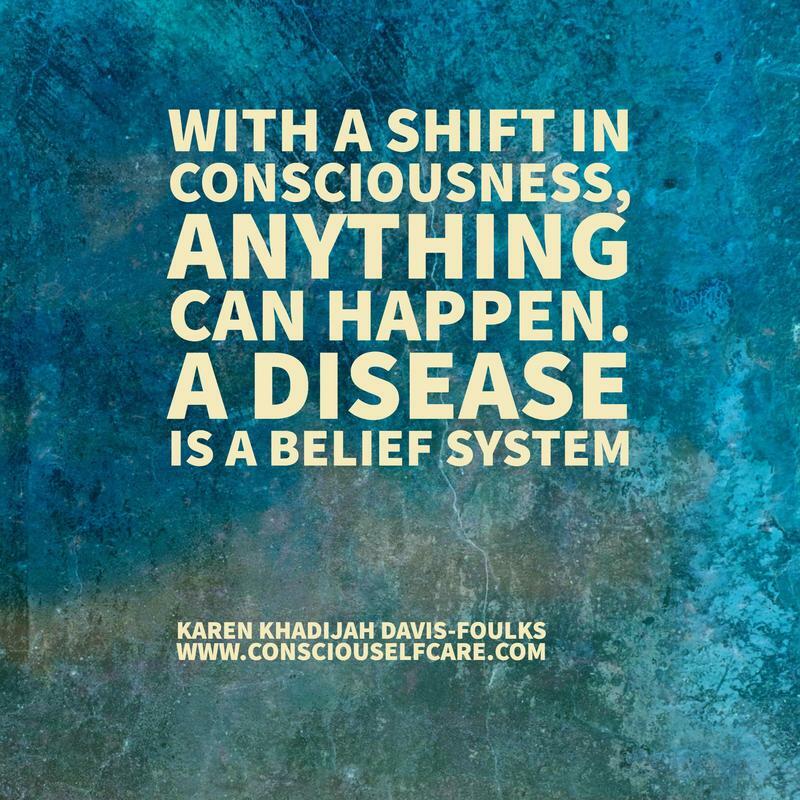 Karen is The One and Only Conscious Self-Healthcare Educator and is not a licensed medical doctor. 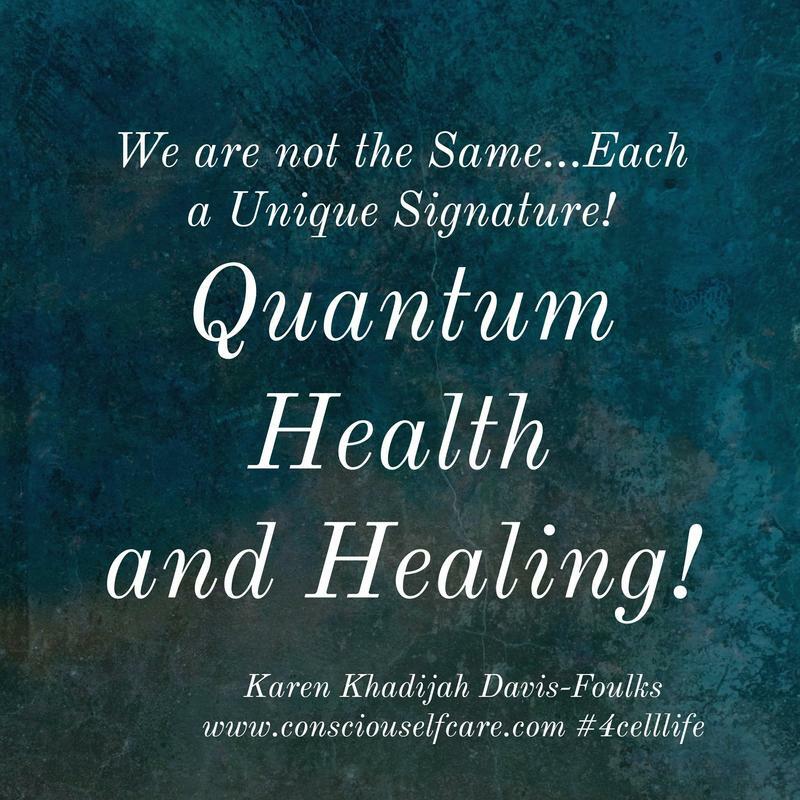 Karen shares information from the non-secular science of quantum health and healing to assist all with making Conscious Self-Healthcare M.O.V.E.S. (Mental Observation View Is Essential for Self-Success). I help you understand what your body symptoms are saying we create cellular malfunctions, not diseases.This information will rejuvenate your thoughts to live a stress and disease free life while making Conscious Self-Healthcare M.O.V.E.S. How can I HELP you slay our healthcare FEARs? Karen assists all with "Shifting Out of Chronic Disease Care Stress" and "Stepping Up Out of The Dark Ages of Health Care". 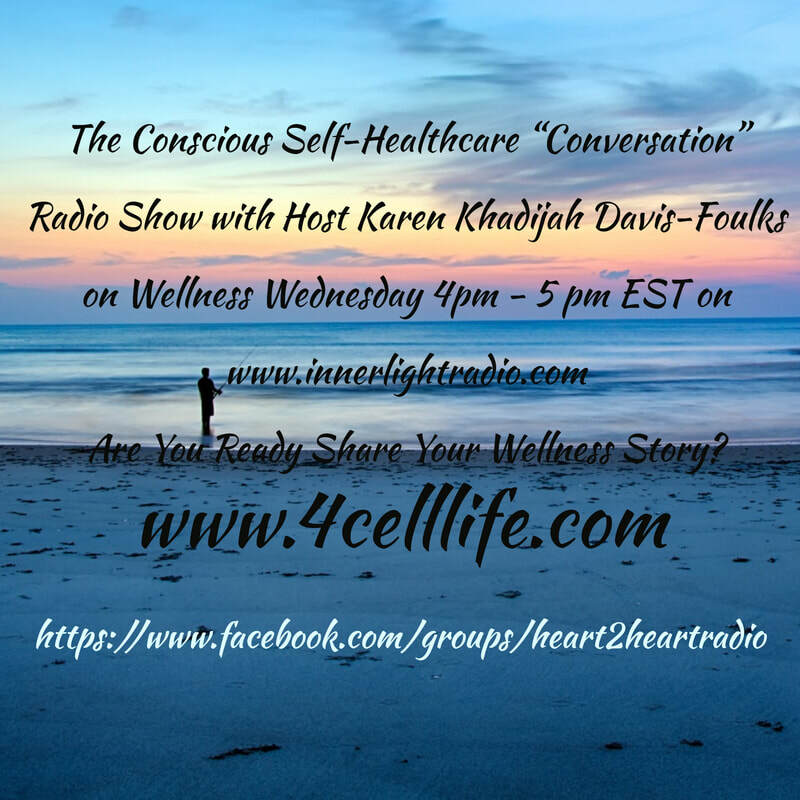 She is the host of My Real Life Radio Show Heart 2 Hearty Healthy Living and founder of Emancipate Yourself from Medical Mental Slavery Day, April 30th and she also established April as Conscious Self-Healthcare and Lymphatic Cellular Wellness Month. Karen is available for Wellness Seminars, Lectures on Quantum Health and Healing and as the Key Note Speaker for your events, seminars and health workshops. Karen is also an published Author, of several books a Pioneer BioEnergetics and Bio-Informational Wellness Specialist, Program & Services Director, Chief Wellness Educator for Blackanized Inc. non-profit 501 (c) (3) and we would love the opportunity to partner with you. Conscious Self-Health Care Vision Board – I Wonder What My Life Would Look Like When I Bury Disease Care and Thinking for the Daily Care of my Human Body. Welfare 2 Wellness – The "Live Wellness" Conscious Self-Healthcare Program exclusively designed for individuals who are receiving Temporary Assistance for Needy Families, Medical Mental Support and Returning Citizens and their immediate family members. Creating Wellness While Working on the Job! Health, Healing, and Conscious Self-Healthcare M.O.V.E.S (Mental Observation View Essential for your Success. Wellness is the goal of thought re-picture sickness and illness. The Prime Variables of Cellular Ecology: The Life Process of a Cell. "Oxygen = Pumps=Electricity=Power" Powering the Human Body and The Body Field. Karen has One goal, One Purpose, One thought, One action, One Vision, One movement, One passion for sharing information for empowering all for rising above the fear of diseases. It's time to embrace the fear of diseases. It's time to give diseases a big hug, hold it so tightly that it vanishes from your heart and mind. Love is not the opposite of fear. Love is all there is. Are you Ready to leave “a man-made mindset of human consciousness” about healthcare? Get ready to Relearn, Rethink, and Rewrite Your Personal Healthcare Prescription Plan© with Karen and "Become Your Own Wellness Doctor." Dr. Karen Khadijah Davis-Foulks not a license medical doctor speaks on Capitol Hill at the Capitol Wellness Expo host Voice for HOPE (Healers of Planet Earth) Freedom to choose your path to Wellness. If only the government officials would make the announcement that Karen shares Oh! What a beautiful world this would be with happy, healthy people sharing unconditional LOVE! Conscious Self-Healthcare Transformation Wellness Session! Thank you for reading this far on my home page. This one time special offer is for you.